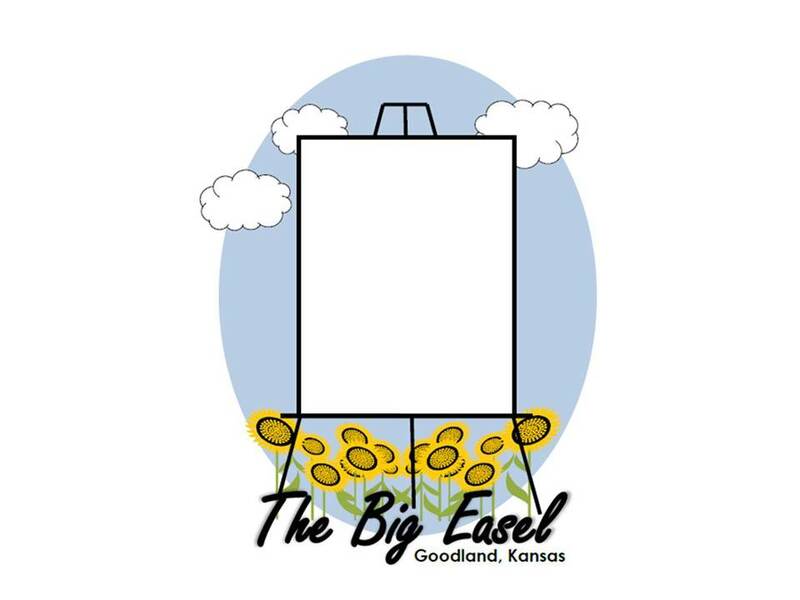 The celebrate the Big Easel, come by the High Plains Museum Saturday, July 7th, from 1 to 5pm to design your own Big Easel t-shirt! We’re celbrating the Big Easel as the artist of the Big Easel, Cameron Cross, is back in Goodland to touch up the painting. Drop by the museum this Saturday from 1 to 5 pm MT to paint your own interpreation of the Big Easel. As you can see from the picture on the left, the t-shirt is reminiscent of the Big Easel–paint your own version of the Big Easel on the blank easel. Come to the museum, get a t-shirt (for a $5 donation), and start designing with fabric markers. This is a really fun way to show your creative side, or maybe your inner fashion designer as you make your own design! It is also a great way to celebrate the Big Easel and show Goodland pride. So stop by the museum July 7th from 1 to 5pm for a good time! ← Goodland’s Summer Life is HOT!